Approximately 275 Catholic teens and adults will participate in a nationally-sponsored “work camp” July 26-31, in which they will perform free home repairs to the houses of 45 elderly, handicapped, and low-income residents in the Baltimore area. The Micah Experience Work Camp is co-sponsored by the Archdiocese of Baltimore and Group Workcamps Foundation. Young people from all over the country will participate and Archbishop Spalding High School will serve as their temporary home. Working in groups of six, the youths will perform over 10,000 volunteer hours and utilize nearly $20,000 in materials to make improvements such as weatherization, handicapped ramps, window installation and painting. 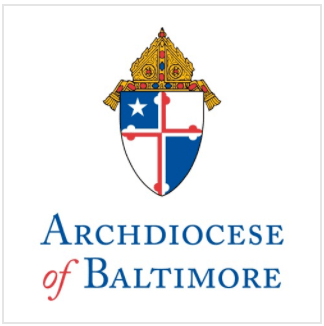 The work will take place at a number of locations, including the home of Ms. Tracey Tarver, 13 N. Rosedale Street in Baltimore (21219), where Archbishop Edwin O’Brien will be on-site to assist with the work and greet volunteers on Tuesday, July 28 at 9:30 a.m. The Mica Group Work Camp is a national effort of the Group Workcamps Foundation, a non-profit, interdenominational Christian volunteer home-repair organization based in Loveland, Colorado. Funding for all building supplies used for the repairs comes from local Catholic parishes, the Division of Youth and Young Adult Ministry and the Archbishop’s Annual Appeal. This summer, adolescents from area parishes and Catholic high schools participated in 60 such work camp experiences.